Put some respeck on my name. How salty will mystic hater be if he wins? Discussion in 'UFC Discussion' started by james31, Aug 6, 2016. I say Conor haters and not Diaz fans because he really doesn't have many here. No one really even talked much about him when he would fight anyone else. You'd be lucky to see 3-4 threads on him before or after his fight unless they were talking about his opponent. Now all of a sudden he had a "fan base". Na. It's just the mystic ones haters. It's all the Aldo, mendes, poirier, siver, brimage, Brandao and holloway fans that have united to become the fan of anyone that beat the conald. Let's assume that by some miracle (to you haters), Conor wins. 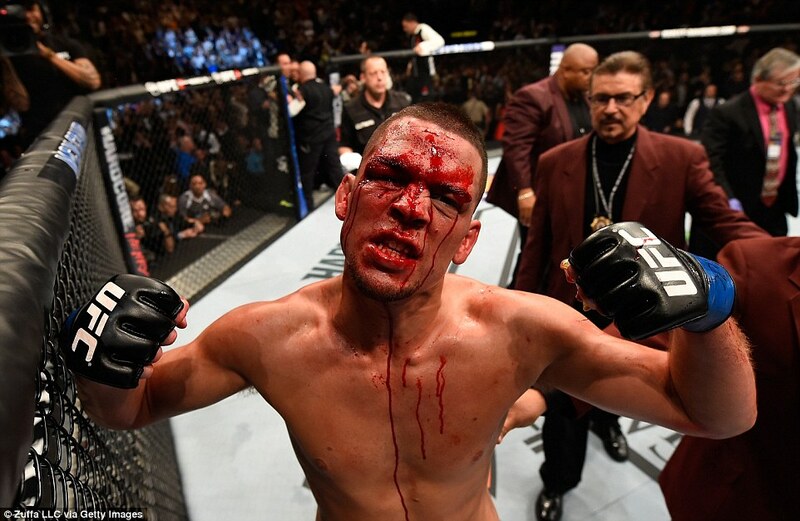 How salty will you be and how many excuses will their be from injuries, Diaz not focused or conspiracy theories??? Come August 20th, you will put done respeck on his name no question. Besty_Tiocfaidh_Ar_La, Haj01 and Iroh like this. If Nate loses he was obviously drugged like his brother Nick vs. GSP. No way he loses to that midget. illegalnature, Koimpact and FedorFanBoy like this. yep Conor changed Nates bum life and the haters still mad about Jose faceplanting in 10 seconds. Headkicktoleg and Haj01 like this. He has a lot to thank Conor for, that's for sure. Suddenly made him a big name in the game lol. If Conor wins this one, I guess it all depends on the method of victory. If he can knock him out that will be huge...a win by very close decision will not conclude anything. If Nate wins its fully concluded and time to move on. But salt will be rubbed for one group of haters....of that we can be sure. Nate has a ton of fans. Maybe there are more Conor haters but as a Nate fan I'll be shocked if Conor wins but not salty at all. Koimpact and what-wut like this. I thought Aldo will win the fight. But seeing this epic faceplant was so funny I wasnt even mad. Amazing how most Conor fans lack self awareness. Nate is part of the most infamous duo in mma history. He's been in a lot of great fights. He has the most bonuses in UFC history. To suggest that he didn't have a large fanbase is just stupid. And just shows how bitter and butthurt Conor fanboys are. cheat toes and Koimpact like this. Connor career might end before 2017. Losing to Diaz 2x and then to Aldo. thrillkilla77, abrasion and what-wut like this. Nate is not a product of Conor - stop fooling yourself. The funny part about this guy trashing Diaz is the fact that Conor lost to him. He lost to a mid tier LW nobody talked about yet he's supposed to hold 3 belts? Guy is a hype job and if you fell for it then you're an idiot. Oh for real. So why don't you tell me the ppv number/TV ratings for nates fight before Conor. 15k/15k was his contract. Yea must have been a huge fan base. lol. I like the guy but get off his nutz, almost no one cared when he fought against bendo, mj, rda, manny, cowboy etc.... And those were his high profile (for him) fights. Dude Conor could lose again and he has still achieved more in the last 2 years then Nate, Nick and the rest of the scrap has or will ever, combined. That's fact. How does it feel to get son'd. When did I ever say Diaz wasn't a good fighter. Pay attention. This is about the Conor haters. Lol. Hype job that just happens to be the UFC champion. Grow up. Stop being to salty. Hype job that won't be allowed to challenge for any belts at LW after losing to the number 5 there who can't even get a shot himself. He's only champ til the Aldo rematch. He'll be losing to a guy nobody talks about back to back in the meantime because he's not on the same level.